The Board of Directors, staff, officers and firefighters would like to thank you for visiting our website and for your interest in the Lake Saint Louis Fire Protection District. We would like to ensure you that we are committed to constant improvement, customer service, and to providing the best fire protection and emergency services possible to the community. Wednesday March 20, 2019 at 6:30 pm @ 1815 Lake Saint Louis Blvd. 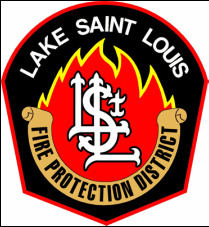 Notice is hereby given that the Lake Saint Louis Fire Protection District Board of Directors will conduct a SPECIAL Meeting on March 14th, 2018, at 1:30 pm at Lake Saint Louis Fire District House 1, 1815 Lake St. Louis Blvd., Lake St. Louis, MO 63367. Announcements, if any, of closed session votes or decisions.